The Community Chest of Hong Kong was founded in 1968. Our success over the past 50 years is a testament to the generosity of Hong Kong people. Thanks to them, the Chest’s accumulative donations came to HK$6.8 billion by 2017/2018 – from HK$6.8 million in the first year – to support services provided by our 161 service agencies. Our history comes from Hong Kong people, a true reflection of Hong Kong people helping each other out, and how The Community Chest contributed to these efforts through the timely delivery of needed services. Please read here Headline’s special edition on The Community Chest 50th Anniversary for details (in Chinese only). We are committed to ensure that 100% of all donations go to the services to benefit Hong Kong people, without deduction of administration expenses. 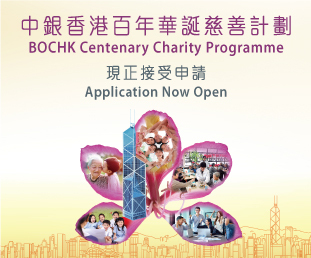 The Community Chest is a well-known charity in Hong Kong. To know more about our history, our allocation strategy and how to become our member agency, please watch videos A-C. 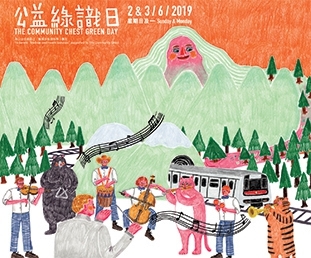 Since the late 60s, Chest member agencies have been offering new services to cater for the changing needs of the Hong Kong community, as reflected in the introduction of the five innovative services below. Please click boxes 1-5 to find out more.